..with high quality linens and little added touches. ...leads into your own fully equipped kitchen. ..with double glazed sash windows. ..to relax in after exploring the city. ..and read some new lifestyle magazines that are there for you to enjoy. ...with many artworks to admire. ...great for an alfresco glass of wine. makes Mrs.Andrews a memorable place to stay. 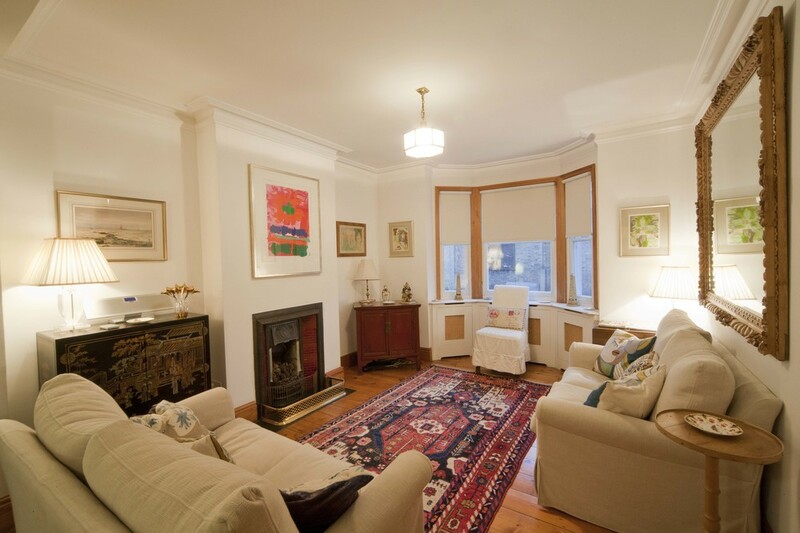 This beautiful little Victorian end of terrace, affectionately known as Mrs. Andrews, is the perfect home from home in Cambridge. Whether you want a short break in Cambridge or if you are visiting a loved one at the University, business or pleasure Mrs Andrews is here for you to enjoy, time after time. Built in 1877, the end of terrace Victorian house has been lovingly and appropriately renovated by Jonathan Miles. 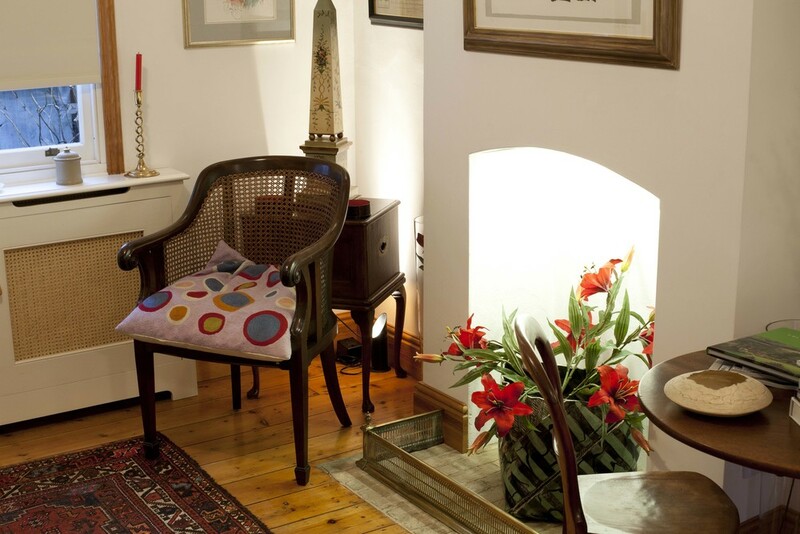 It sits within a delightful courtyard setting with its own small private terrace garden. The house is light and fresh with decent sized rooms. The redecoration has incorporated central heating and double glazing with sashes, open fires, floorboards and cornices being retained. 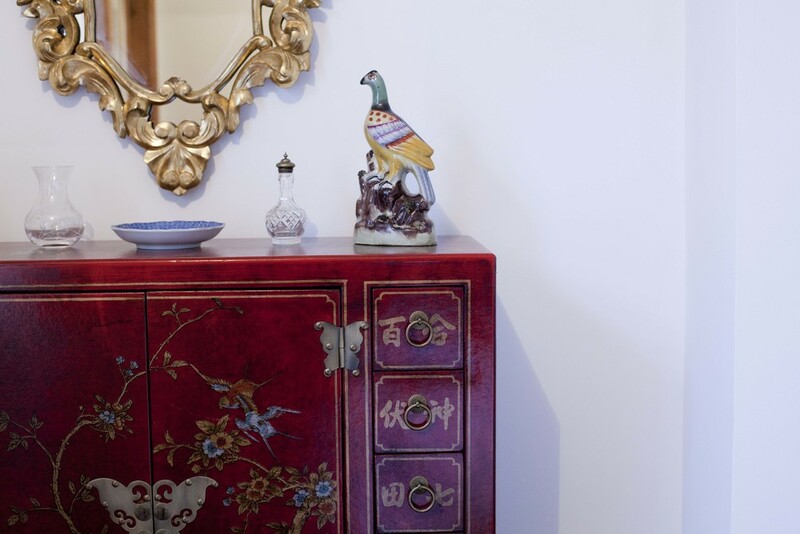 All of the rooms have been furnished to a high standard with an eclectic mix of furnishings and paintings. The view of Kings College Chapel West. This Self Catering town house situated close to the river, is just a short hop skip and a jump from Cambridge Town Center with its many delights! Step back in time with a tour of the city, browse its many galleries, or why not spend a lazy day punting on the 'River Cam' followed by dinner in one of its many delicious eateries. There is lots to see and do in and beyond this magical city bursting with heritage and culture, and don't forget, when you stay at Mrs.Andrews you have unlimited access to your own punt. What better way to see Cambridge!? We can recommend taking a guided tour of the historic university city with qualified local guide. Perfect for individuals, couples or groups who want to make the most of their stay in Cambridge. 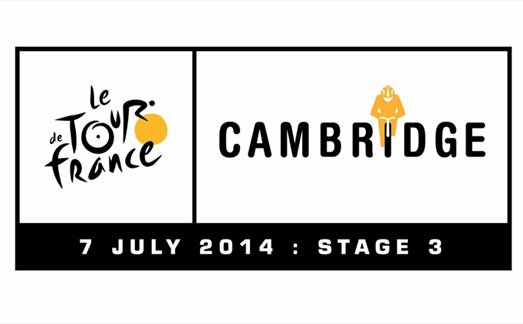 Visit www.thecambridgetourcompany.co.uk for more information and to book.